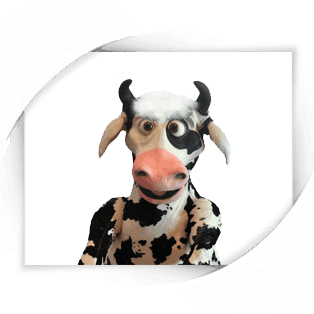 Meet Moo Moo our latest cute baby cow latex puppet. 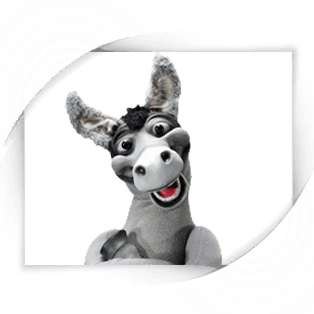 This puppet has a latex head, hooves and udders. 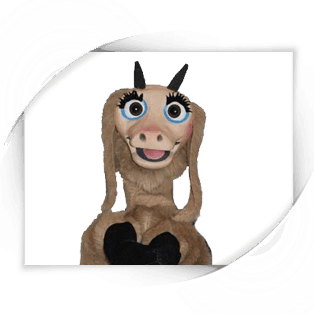 We can further customize this puppet for you with an optional hair and/or latex horns at no additional charge. These additional features make this puppet a professional ventriloquist puppet. The zipper at the bottom of the puppet is a great feature for cleaning the puppet and extending its use. A great bonus for busy entertainers. Moo Moo may be a bit shy, but would lOooooooooove to be part of your show.